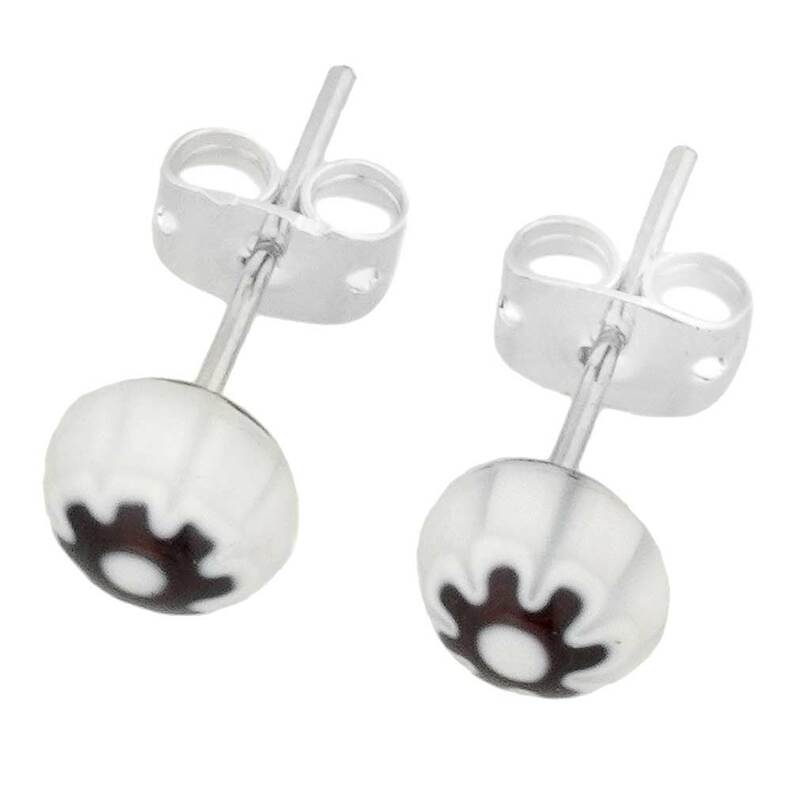 These cute Murano studs feature unique glass-making technique- Millefiori (a thousand flowers)- that has become the most famous invention of Murano Glass artisans. The earrings bring a splash of color and fun along with coveted Venetian style, and create the look of effortless elegance. Pair them with one of our beautiful Millefiori pendants for a well-coordinated elegant style. The post and the ear nut are made of surgical steel. 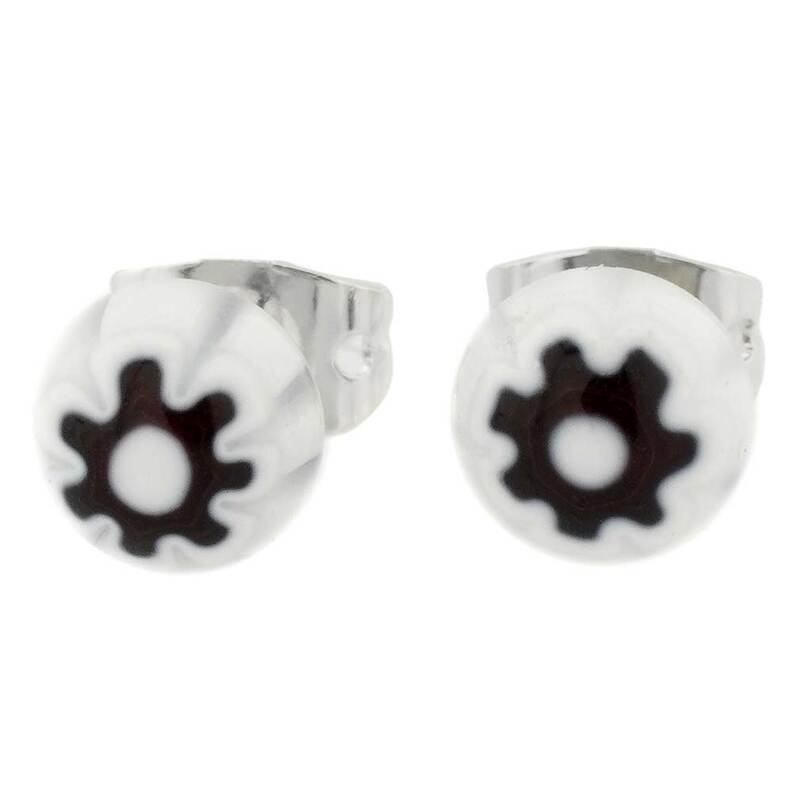 Measurements: Each stud measures 1/4 inch in diameter. 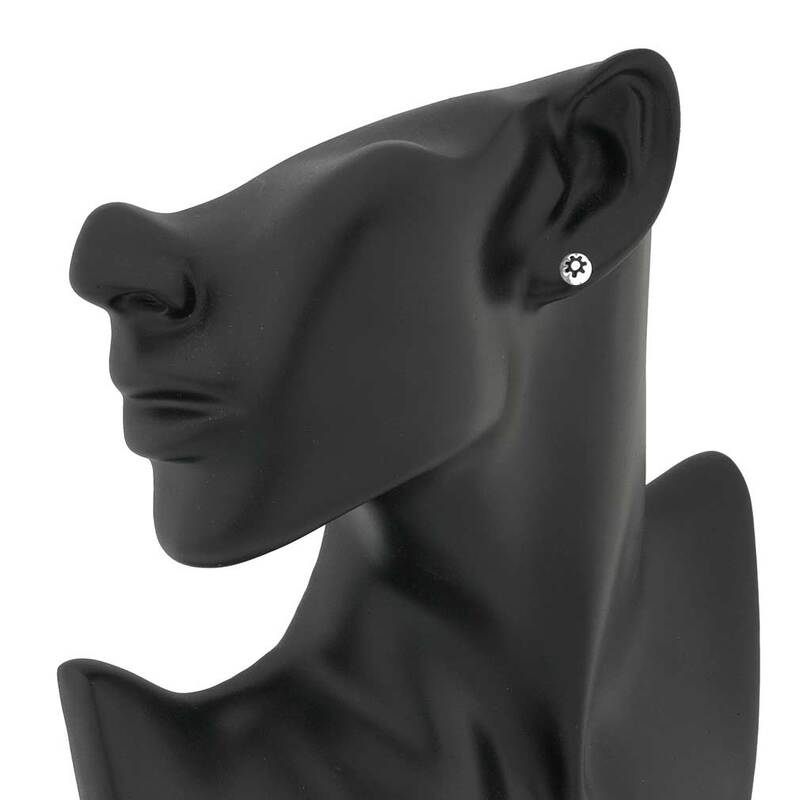 The posts are sterling silver-plated surgical steel for all-day allergy-free comfort.